Got murk? Well, that's okay in a puddle but not in the water coming into your home. The Omnifilter RS2-DS provides sand, dirt and rust reduction to get that murkiness out of your water! The string wound construction of this filter improves its capacity and efficiency, with the added benefit of scale reduction for quicker clean-up of showers and sinks. Make cleaning day easier while providing top-notch water for your family today. The OmniFilter Whole House Replacement Filter Cartridge fits many industry standard 10-inch filter housings. 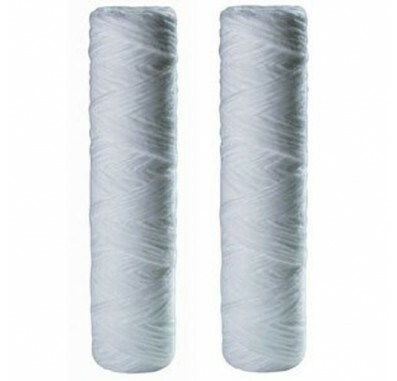 The filter uses String-Wound Polypropylene to remove contaminants for up to 3 months. Reduces rust, sediment and scale for the water clarity you deserve. Two filter cartridges so you always have one at the ready. Whole house filtration provides clean water assurance throughout the home. Great filter application for both municipal and well water.